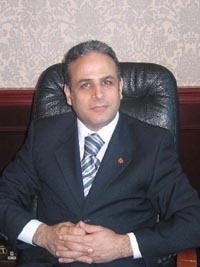 Ghassan Fares has joined the Metropolitan Palace Hotel, Beirut as general manager. Graduated with a Bachelor of Hotel Management from the USA, he then moved to Dubai to join the Metropolitan Hotels International where he occupied different positions within the chain. He did the pre-opening and the opening of the Metropolitan Palace Hotel, Beirut, he then moved to the Metropolitan Palace Hotel, Dubai, then to Saudi Arabia as the general manager of the Metropolitan Palace Hotel, Makkah.